I save a ton of money using STOPS instead of disposable earplugs. Each pair lasts so long! Chemically Based Foam and Silicone ear plugs fill up landfills by the billions. STOPS ear plugs are made from natural ingredients. This means less damage to the environment, and more good karma for you. I’ve been surfing for almost a decade, and I’ve developed some pretty bad swimmers ear over the years. Every ear plug I’ve tried always let water in, and the pain was unbearable. Right when I thought I would have to ditch my surfboard, I found STOPS earplugs. These things have given me my surfing back. I’ve haven’t had a drop of water in my ear since. What a life saver! My children love to go swimming, but hate getting water in their ears. They often end up with ear aches because their old earplugs never stayed in. My kids love these because they don’t come loose. Great job STOPS! As a long time sufferer of tinnitus (ringing in my ears) I started using STOPS to save my hearing around the machines in my shop. After a day working with them in, I no longer get a ringing in my ears at night. Thank you! As a hunter and outdoorsman I spend a lot of time at the shooting range. STOPS earplugs are excellent at blocking out the sound of loud gunfire. Your Customer Support is amazing, Thank you! I have been riding my motorcycle up and down the coast each summer. This summers trip was made much better by the addition of STOPS. I used to have to adjust my ear plugs to get them to fit under my helmet. STOPS actually lay flat and don’t press into my head. Super comfortable, and the wind noise is gone. 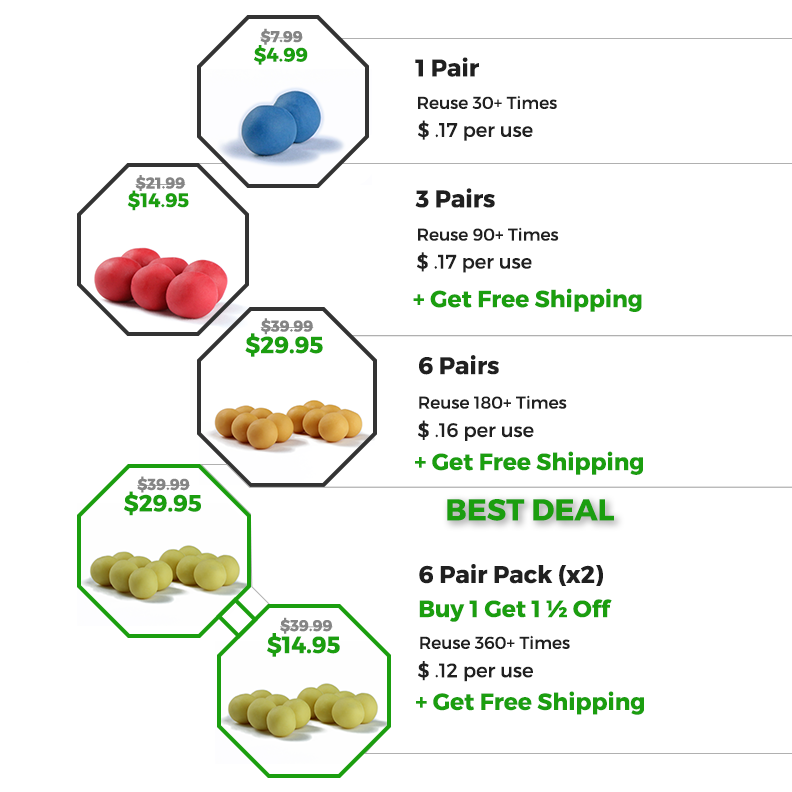 Great ear plug STOPS! I work nights, and sometimes graveyard. My girlfriend is a Nurse and sometimes works 20 hour shifts. If we don’t get a good nights sleep, we could be a danger at work. Our neighbor’s dog was driving us crazy. He would bark every morning and wake me and my girlfriend up. We started using STOPS earplugs at night, and we don’t get woken up any more! We can finally sleep in on saturdays again! These are the best earplugs I’ve ever used. I finally get restful sleep. My husband is a night owl and I’m a morning person. We had some struggles at night because he wanted to watch television late into the night and I wanted to sleep. Since I started using Stops ear plugs we can go to bed together and when I am ready to go to sleep, I just put in my ear plugs and quickly fall asleep in silence.